Over the four days of 7 to 10 June the Quantock hills reverberated to the sound of the West Somerset Railway’s annual Diesel Gala event. 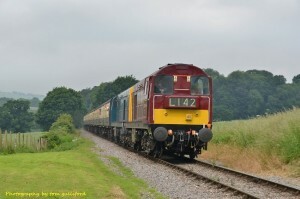 Stars of the show this year were three visiting locomotives with a military theme. 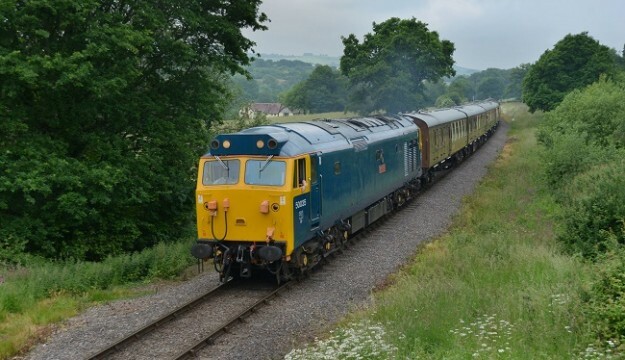 Mighty Deltic ‘Royal Highland Fusilier’ represented the main line to Scotland, Class 50 ‘Ark Royal’ used to run between Waterloo and Exeter in the 1980’s and 90’s and Class 45 ‘Royal Tank Regiment’ brought holiday makers to the south-west from the north-east. The West Somerset Railway’s next big Gala is the Autumn Steam Gala on 27 to 30 September but steam and diesel trains now run every day until then and most days in October.